The Katipo or Red Katipo Spider (Latrodectus katipo) is a vulnerable, venomous spider native to New Zealand. 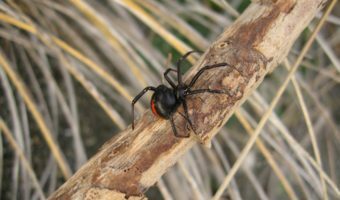 The Katipo Spider is a widow spider and is related to the black katipo, the Australian red-back spider and the black widow spiders. The Katipo spider is considered endangered. 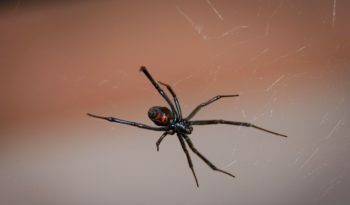 The Katipo Spider has also been sighted in parts of California. Katipo is a Māori name and means ‘night-stinger’. 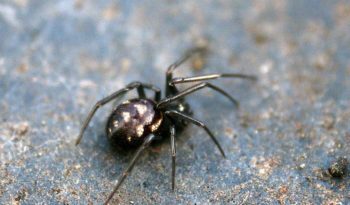 The adult female of the true katipo is a small spider with a pea-sized abdomen. It is black in colour and may sometimes have white markings both at the front of the abdomen and also bordering a pronounced red stripe. This stripe starts in the middle of the abdomen and runs towards the rear end of the spider. There is also a a red hourglass shape on the underside of the abdomen. 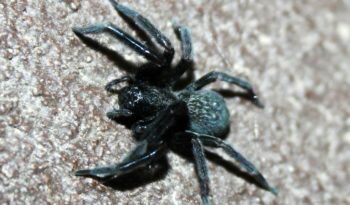 Males and juveniles of this species have much white on them that turns to black as the spiders molt. Males go through fewer molts than females and they never attain the females size or dark colour. Indeed, they still look very much like juveniles despite being fully grown. The Katipo Spider prefers grasses, sedges, driftwood and flotsam on sandy beaches throughout New Zealand. The black katipo appears to be confined to the northern half of the North Island, while the true katipo can be found in the southern part of the island. The Katipo Spiders natural habitat is typically under logs or other wood, especially near beaches. This narrow habitat along with their rareness, general non-aggressiveness (they bite as a last resort) and human awareness of where they live, means the incidence of katipo bites is very low. 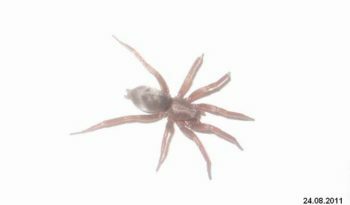 The Katipo Spiders typical diet consists of ground-crawling insects such as beetles. Egg sacs are produced towards the end of the year and are guarded by the female in her lair. The Katipo Spiders belong to the worldwide genus Latrodectus, more commonly known as the widow spiders. All members of this genus share a similar reputation for inflicting unpleasant and sometimes fatal bites on humans. It is worth noting that only the female is capable of biting a person, as the males fangs are too small. Katipo bites are very uncommon and while likely to be unpleasant, are not likely to prove lethal. Typical symptoms include pain at the site of the bite, which may spread to other areas, becoming more intense over the hours that follow. Sweating, malaise, fever, shaking and many other symptoms may occur, however, abdominal cramping is particularly common.